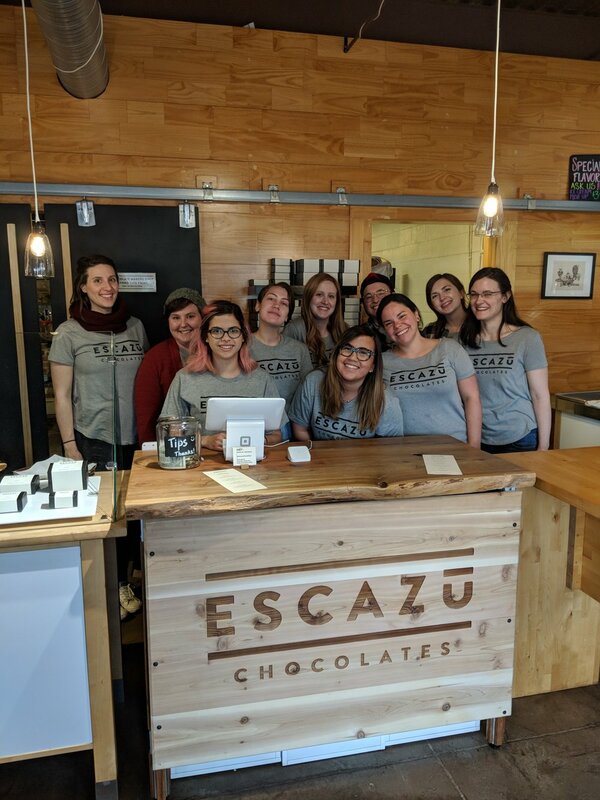 We came to chocolate making from the culinary world working our way up as line cooks, sous chefs and eventually running kitchens. This background influences the way we approach the craft and the way we think of chocolate making in general, which is not that of manufacturing a product but instead as if we are preparing food for family. With care, integrity and respect for the quality of the natural ingredients. Tasting cacao fruit at the farm in Venezuela. Tempering and molding the chocolate bars.